Not much words to describe that feeling of accomplishment when you finish a project which started off with a vague idea. An added bonus of course when you like the way your hands transformed your idea into something visible, something you can touch and something that may brighten another person life, or convey a special message ! Muse card club. ~ where Michele's heart within a heart sparked the inspiration... Thanks so much Michele! 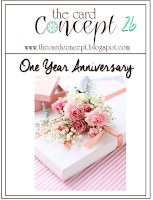 The card concept ~ where the pink and white stripes of the inspiration photo and love (anniversary theme) caught my attention... and Geri's wonderful graphic card got the ball rolling too... thanks Geri! Casology & Darnell's NBUS challenge got me to use that little bow cutting file that I have had for so long, but haven't used yet... and a NBUS sentiment too LOL! I created my own striped paper by cutting strips of 2 cm pink and white card stock, and glued it on a separate piece of plain typing paper. I die cut the bigger and smaller heart simultaneously , carefully marking exactly where the smaller heart hits the stripes. I then die cut the smaller heart again but placing it to get the opposite colors matching the bigger heart. I hope that makes sense! I then printed my sentiment on the smaller heart, popped it up with foam tape, positioned inside the bigger heart, and added the little bow. I love how you alternated the stripes. Fabulous Hannalie! WOW! This is stunning Hannelie. Your design is perfect and I love the way you have used the colours. Thank you for another fabulous sentiment too. Pragtige kaartjie Hannelie. Die hartjie is uistaande met die wisselende strepe. Just beautiful! LOVE it when a creative idea comes to life! What is not to love about this gorgeousness? Totally perfect! Wow, this is gorgeous Hannnelie! I love the offset stripes and the colors and simply awesome! Awesome card, Hannelie! 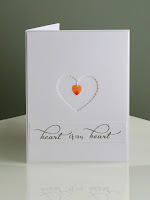 I love how you layered the hearts and the pink stripes are AMAZING! I really LOVE this card!!! This card caught my eye right away, I love the sharp clean look! It's perfect. Thanks for playing along at The Card Concept! So cool! Love that you've offset the stripes! Great take on the Muse card! So glad you joined us at Muse and CASology this week, Hannelie! I absolutely LOVE this card! What a clever, clever design, and so striking! Beautiful card, and expertly executed. Easy to see why you love this card, because I do too. Love how the stripes are organized. Thanks so much for playing along at CASology this week. You should love it....it's Terrific!!! Hannelie I think you have summed up quite nicely why I continue to make cards too! And this card is so wonderfully CAS and graphic, it immediately draws they eye in. It's beautiful! And what's not to love about it Hannelie - this is just a beauty. CAS at its best! Oh, this is such a beauty! Love the colour blocking and that delicate new bow! Long post? Surely, you jest! This is a fantastic design. Those hearts (love that shape) look fabby piggy backed. How wonderful making your own patterned CS and I really love how you put the smaller heart in the position so the stripes were opposite....looks fantastic!! Just wonderful - very crisp and clean - not surprised you love it - I do to! Stunning card! I love how the alternating stripes match up so beautifully! Thanks for sharing! O, vrou, dit is eenvoudig briljant gedoen!!! En is dit nie lekker om met net 'n vae idee te begin en dan met so 'n skepping te eindig nie, ne!!!! Ek dink altyd aan daai uitstaande kaartjies as 'n WOW-skepping!!! Hierdie is definitief so 'n WOW-skepping!! Dit is oor en oor 'n wenner!!! Daai afwissellende strepe is so treffend en die strikkie is verskriklik cute!!! Ek deel jou opgewondenheid oor die een, vrou!!!! Pragtig gedoen!!! Ja, hy kry weer 'n fantasmagories!!!! Hannelie, your words describing the art of card making are perfect! That's it exactly!! Hey Hannelie!! I agree with you! I love your card too! Those hearts are so pretty! !I love the CAS look and feel of your card. That bow is amazing too. How did you do that? I might have to CASE this card. Thanks for playing along with us this week at CASology. Oh, this is SO perfect in so many ways! So cleverly executed! Can't believe you made your own stripes!?! Love everything about it! Can see why you and everyone else does too! Thanks so much for joining us at CASology this week!! Totally gorgeous!!! 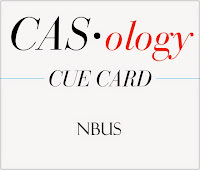 Thanks for joining us in the CASology NBUS challenge this week! So glad that you did! Wow - this is the most amazing CAS card! It is beautiful and striking! Strikingly beautiful and extremely well executed. What an amazing card, Hannelie!! Love the alternating stripes...creative genius...and the color combo is so striking...beautiful:)!! I love it too, Hannelie - it's brilliant! Clever and gorgeously executed! Thanks for playing along with CASology this week! 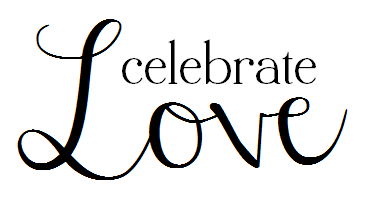 Completely swooning over your wonderful graphic yumminess! Gorgeous! Great idea for the heart and the paper into strips. Thank you for the beautiful inspiration. Hannelie, this card takes my breath away and that's why you are my choice at The Card Concept. This card was a winner as soon as I laid eyes on it...you won in three challenges! Way to go!